Welcome to all the newbies around here! I am so happy you found Mimi & Mack! I have had several questions about how to order and what is coming next, so I'll try my best to fill you in. I just downed two chocolate, chocolate chip muffins and a big cup of coffee, so fingers crossed I'm not too spastic to get through this before my wild children come barreling downstairs to beg me to feed them. First of all, I am a one-lady tiny shop just north of Chicago (was in the city for several years and am just now getting used to this Mayberry life). I am originally from a small town in Mississippi, and I love merging the two styles of Southern and Big City. I only make about 1-10 pieces of each style at a time so that you know what you order will not be seen on every child in your town. What your daughter will have is not made overseas in a large manufacturing warehouse. It is made early in the morning, in between school drop offs and swim lessons, and sometimes late at night in my home. I probably should be folding more laundry, having more coffee with girlfriends, or propping my feet up to watch a little television, but instead I choose to lose myself in fabrics. Please know that I spend weeks (sometimes months) sketching and shopping for just the right fabrics and patterns that take my breath away . . . and it is sometimes very difficult for me to let go of items! Especially the ones in Mimi's size :). As my time allows, I try to come up with new pieces every month, so please keep checking here, Facebook, or Instagram (mimi_and_mack) for new items. I sell my items on mimimack.bigcartel.com, and you can check there to see what items have sold in the past few months. Right now I do not take custom orders, and I will not remake someone else's items. Other designers work hard to come up with their own creations, and while it is flattering to them to have someone love their items, it is also painful to see a remake. Recently our local newspaper, The Glencoe Anchor, featured Mimi & Mack in the Life & Arts section, and I am thrilled with the article! I was expecting a back page corner and was given two full pages. Very beautifully written and has made me so very grateful they stumbled across my little business. The author went to high school in Alabama, so he totally understood my Southern roots. In January, I joined the Brownie-Goose Online Showcase (which is how many of you found me), and will be selling 6-10 items on their Facebook page every few months. Last night I sold this sweet little number in a matter of seconds! I was blown away! The first four to comment SOLD were just a few seconds apart. Very exciting! Our next sale will be April 20, so set your alarms! I will remind you on Facebook and Instagram and will show sneak peeks of the items I make prior to the sale. 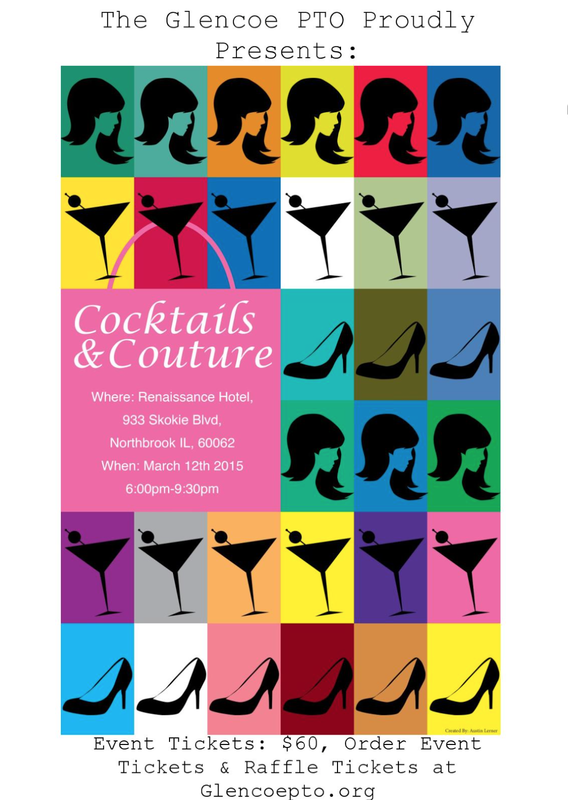 On March 12 I will be selling some items LOCALLY in the Glencoe PTO Cocktails and Couture Fundraising Event from 6-9:30 at the Renaissance Hotel. When a friend called to ask if I would be interested, I immediately said OF COURSE!! I am rarely able to help with more than an occasional Valentine's class party, so I am happy to give back to this organization that provides so much for this amazing school system. I am so nervous and excited (Mimi calls this nervexcited) to see how my items will sell in this area. And I'm debuting something new that so many of you have asked me about . . . more to come on that soon. If you are local, please come by and check this out! 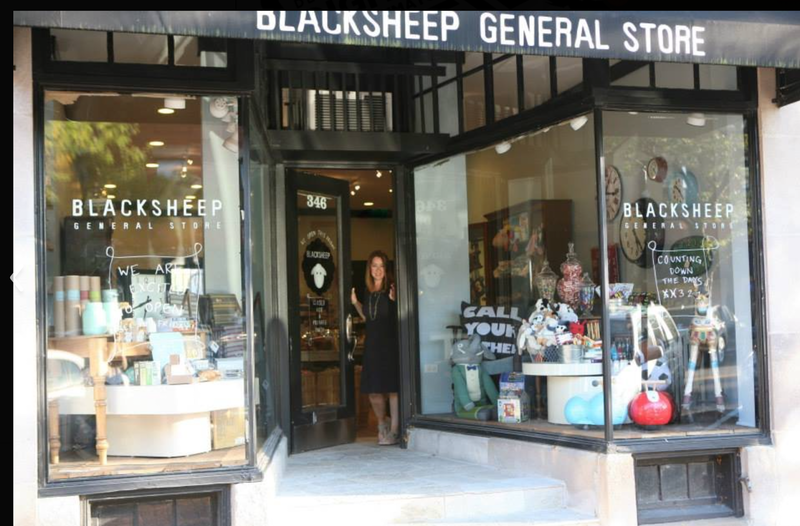 Also, I will have a few items in a local shop called Black Sheep General Store this spring!! I cannot wait to stroll by the store front and see a few little Mimi & Mack items hanging on a rack. The owner and all the groupies that hang out at the Starbucks across the street are going to be so annoyed by my constant strolling -- like at least 10 times a day I'll yell, "Hey, kids! Who wants to ride scooters to downtown?" I will become a stalker for sure. And then God forbid someone actually buy something while I'm strolling by . . . never mind. Maybe I need to limit myself to one stroll a day . . .
And then the Brownie-Goose Online Showcase will take place on April 20th. Somehow, some way I will sneak in a few items to sell to YOU through Big Cartel. Life will be very busy over the next few months, but it is a good busy. A satisfying busy. If you have any questions or suggestions (or pics you want to share of your little in Mimi & Mack! ), just e-mail me at mimiandmack@yahoo.com.